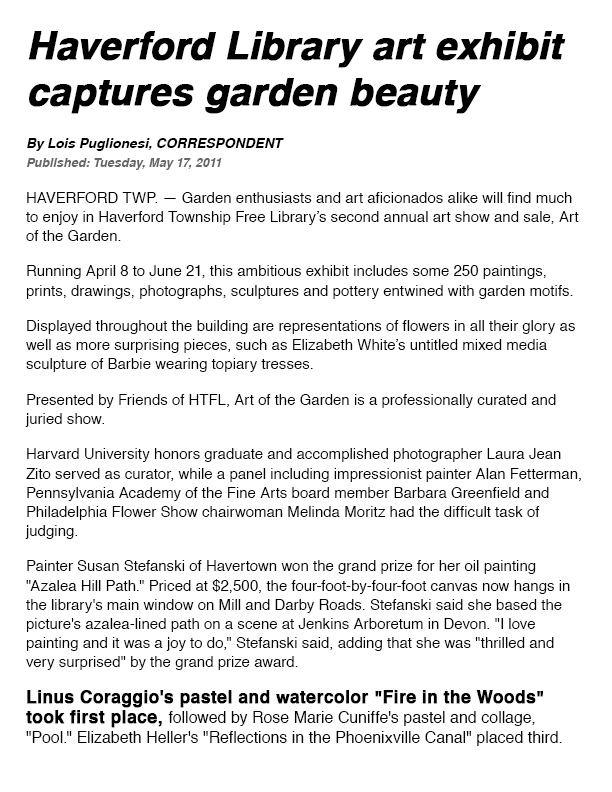 Coraggio won first prize in the group show of garden-themed art discussed in the article—an exhibit at the Haverford (PA) Library in May, 2011. The winning Coraggio work was a watercolor-and-pastel entitled “Fire in the Woods” (click here to view). Click on the image to read the complete article.